December brings us all back to the gospels to reread the narratives about the birth of Jesus. It’s a wonder anyone ever gets past the first 17 verses to the wonderful news of Immanuel (“God with us”). Despite the popularity of Ancestory.com, few people enjoy reading biblical genealogies. The names are unpronounceable, and who even knows who half of those people are? Matthew’s genealogy is actually worth paying attention to, though, because it contains some hidden gems—details not common to most of the biblical lineage lists: Women! Four women, to be exact, and not the prominent ones you might expect. No Sarah (wife of Abraham), no Rebekkah (wife of Isaac and mother of Jacob), and no Leah (mother of Judah, patriarch of the tribe of King David). Why did Matthew call attention to these specific women? What do they have in common with each other, and what is their relevance to Jesus? Three of them weren’t even Israelites (Bathsheba is the exception). There’s not much said about their great faith or any relationship with God at all—only Ruth (“your God [will be] my God”). None of these women had a man around at salient points in their narratives. Ruth and Tamar were widowed. Bathsheba’s husband was away at war, and then she was widowed too when David had to cover his tracks. Rahab was unmarried in the Joshua narrative. They were all definitely women of action, women who attended to the safety of their families and integrity of the family line by whatever means available to them. Matthew next describes the angel’s visit to Joseph, telling him to chill because this was a God thing. He never bothers, though, to mention Gabriel’s visit to Mary and her obedient submission. He just jumps right to the scandal. You can bet that most of the people who had NOT received angelic confirmation were unconvinced of the Immaculate Conception story. Mary likely bore some stigma about this premarital pregnancy for years afterward. – Tamar got pregnant by her father-in-law. – Rahab was a prostitute. – Bathsheba, whether by choice or not, ended up pregnant with the king’s baby. These are not the kind of women we expect to be highlighted here. Matthew is essentially making sure we all know that the mother of the Christ Child shared their DNA. 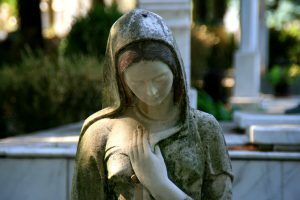 And, yes, Mary may too have come out of this whole thing with a sullied reputation as a result of God’s redeeming work in the world. God, implies Matthew, was never much hung up on a woman’s reputation anyway (or her nationality or even her religion). He just worked through women who would advance his purposes. Playing a supporting role in God’s story doesn’t necessarily require extraordinary faith or years of life experience either. He uses who he wants to use, and he never limits himself to the people who look like they deserve the part. That’s some pretty good news for those of us who can’t even pretend to be flawless good girls or spiritual giants. The stories like this continue throughout the gospels, too. Jesus got this message from the ladies in his lineage, so throughout his ministry he chose women who were viewed by religious culture as flawed or scarred to exemplify some valuable kingdom lessons. Stay tuned for more in my next post!